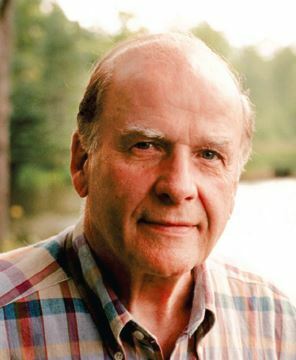 To emphasise the urgency of environmental protection, after witnessing the ravages of the 1969 massive oil spill in Santa Barbara, California, politician and environmentalist, Gaylord Nelson, the then U.S. Senator from Wisconsin,organised an event on April 22, 1970. The day witnessed 20 million Americans in colleges and universities, primary and secondary schools, and communities taking to the streets, parks, and auditoriums to demonstrate for a healthy, sustainable environment in massive coast-to-coast rallies. This momentous event known as Earth Day is one of the largest civic observances in the world withmore than one billion people participating each year in Earth Day activities. Thus, emerge Earth Day Network, the NGO behind this movement. We now work with over 50,000 partners in 196 countries to broaden, diversify and mobilise the environmental movement. We at Earth Day Network-India believe that our Earth’s future relies on developing environmental learning opportunities for youth of all ages and backgrounds so that they can be wise stewards of the environment that sustains us today. To drive home the point, we have, through the years, showcase innovative ideas students, individuals, groups and communities have adopted to green India. Many of these are related to waste and water management, others to increasing the green cover, use of renewable energies, site orientation and materials, to the judicious use of resources (in one case, even discarded ones), increase of green cover and many more and more.We share with you four case studies on how individuals and groups have chosen to go from grey to green. We invite you to read about these novel methods that have been adopted. Apart from being green and economical, all of the case studies are adaptable and replicable as well. ‘The best way to encourage others to learn is by setting an example,’ is an advice that has come down the ages. At St Mary’s Ramganj Mandi School at Kota, Rajasthan, this saying was once again reinforced. The school, run by the Franciscan Community of nuns, is located in the rain shadow of the Desert State of Rajasthan. It is a member school of Tarumitra (Friends of Trees), a students’ movement to protect and promote a healthy environment on earth. Started by students in 1988, the movement has spread far and wide to hundreds of schools and colleges all over India. The Principal of St Mary’s School wanted to replicate the natural method at her school and decided to experiment growing wheat on a two-acre plot of the convent’s land. 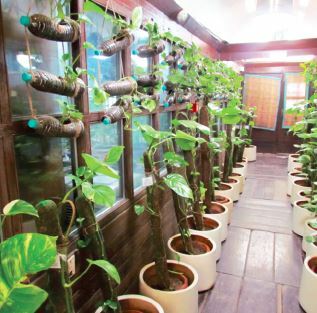 If students at Tarumitra’s headquarters could do this, she was convinced that her students could do it as well, regardless of the fact that Rajasthan was water scarce, and thus, any effort to grow anything would be doubly difficult. She wanted St Mary’s School to engage in agricultural practices that did away with the use of poisonous pesticides and chemical fertilisers that create havoc both for the land as well as the inhabitants around. The Principal is convinced that people’s health has deteriorated in the last 30–40 years and is inversely proportional to the expansion of the Green Revolution propagated in the country. She found support for this from the doctors that practised in the hospital close by. To encourage the students to pick up the shovel and not hesitate to dirty their hands while planting, the nuns at St Mary’s decided to lead by example and began tilling the soil themselves. After all, Tarumitra had always taught them to ask themselves, ‘If not us, then who? If not now, then when? If not here, then where?’ During the morning assembly, the Principal elaborated on how people traditionally respected nature and lived in harmony with it. She went on to explain that with the passage of time, this was fast disappearing. She wanted the students to grow up with reverence for the land that supported them with food, water, and life. ‘If this life-giving earth is not sacred, then what is?’ she asked. She went to stress the point that loading the land with chemicals was not maintaining the planet’s sanctity, but abusing it. Enthused by their teachers, the students gladly came forward to prepare the land for sowing. Organic manure made from dried leaves and cow dung was used. The Head Boy and the Head Girl of the school took the lead in procuring the seeds. Amidst great jubilation, a local variety of wheat was sown. The neighbourhood farmers were amazed at the scene of nuns and students working on the land, determined to grow natural produce. Many local farmers came forward to offer free advice on how futile it would be to attempt this in arid Rajasthan. Everybody who mattered disagreed with the non-chemical method adopted and put forth several arguments in favour of continuing with the practice of loading the land with chemicals to ensure quick growth as well as protection to crops from pests. The neighbourhood farmers continued to spread chemical fertilisers such as urea and sprayed pesticides in their farms. The school’s community resisted the urge to follow suit. They stood steadfast in their resolve not to use these polluters. Their produce would be natural, not chemical-tainted. With bated breath, the school waited for the crop to turn green and tall. 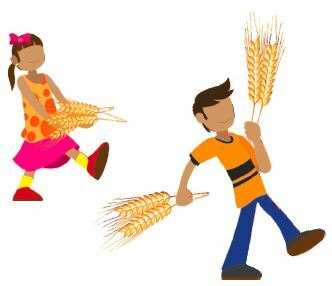 Then came the moment they had all been waiting for– the maturing and ripening of the wheat! The harvesting was nothing short of a festival. After the threshing was completed, they found that to their amazement, they were blessed with 27 quintals of wheat! The by-product of over 10,000 worth of hay was a bonus. The seasoned neighbourhood farmers could not help but admit that the school’s crop was the best harvest. They appreciated the fact that the school had achieved all this with so little investment as no money was spent to buy fertilisers and pesticides. The two-acre plot now serves as a natural classroom for environmental education. The eco-friendly way of farming adequately demonstrates sustainable living in close proximity to nature. The students now understand that nature gives back abundantly when cared for. The hands-on learning has inspired the students to spread the good word wider and deeper so that farmers in the area also turn to natural, agricultural systems and give up the old ways of chemical-fed farming. The Himalayan mountain range is awe-inspiring. It fascinates people across the globe and draws many to experience its breathtaking majestic stature first hand. The range is an area of pristine beauty, with biodiversity hotspots that teem with wondrous flora and fauna. It is rich in minerals and other natural resources. Considered an abode of the gods by Hindus, its vast snowfields and large glaciers are sources of several mighty rivers of Asia. It is no wonder that the area is considered sacred and revered: a truly precious one that needs careful care and protection. Modern technology has facilitated greater human mobility across the range. Where once people hesitated to tread as weather conditions are often inhospitable and the rock faces too treacherous, improved mountaineering equipment now available has opened up the area. It is a sad fact that the growing number of people traversing the Himalayas has upped the risk of increased amounts of litter being left behind by careless humans. In 2010, Zero Waste Himalaya was formed by a group of like-minded people who were concerned about the mounting waste (non-biodegradable items in particular), and the effect this polluting would have on the fragile eco-system of this once untouched area. Sikkim, which nestles in the foothills of the Himalayas, seriously took up the initiative. The State is recognised as the greenest in India. It has the distinction of being among the first to ban the sale and use of plastic bags across its districts. In the past, people unceremoniously flung plastic products into drains and waterfalls. This was identified as a menace that resulted in blocked drains and landslides. 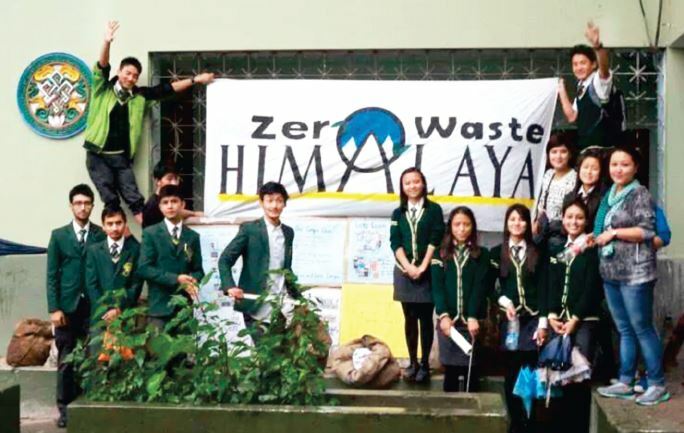 Young students and other members of Zero Waste Himalaya in Sikkim went a step further to also ban the sale of another polluting item – Styrofoam. This is the common name for products made from polystyrene, the petroleum-based compound that is moulded into disposable dishware and packing materials. It was a tall order as styrofoam is such a popular item, used not just in urban areas, but rural ones as well. Its features of being lightweight, relatively cheap, and easily disposable made it a hot favourite. For example, the use of styrofoam products at large functions ensured that the tedious and water consuming task of washing up was done away with. All one had to do was pack the used items into garbage bags and cart them off to dumping sites. Long hours of labour was not required. Instead, the clean-up was completed in a jiffy. 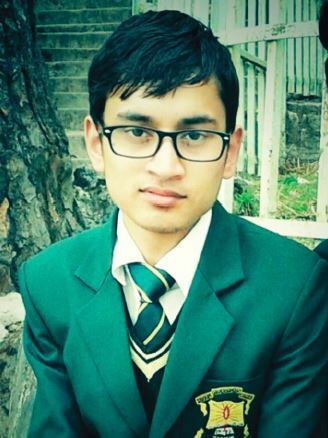 Niraj Sapkota, a student member of Zero Waste Himalaya says, “Just imagine the burden on landfills with so much dumping? And, this is just one of the many disadvantages of using styrofoam. There are so many more,” he adds. Along with team members, Niraj conducted a survey to see who the major users of styrofoam were. The answer was: the common people; particularly when large numbers of people are to be fed. The more affluent, the team concluded, could afford the luxury of using reusable crockery. They do not feel the pinch when they have to pay extra money to have someone wash the crockery after use. Those with monetary limitations opted for styrofoam. With the target group identified, the students began a house-to-house campaign. “We are champions at this,” said Niraj. With statistics and well-researched information in hand, the group trudged the streets of Gangtok, the capital of Sikkim, to make people understand why they thought another word for styrofoam was D-A-N-G-E-R. The material, injected as it is with gases, is definitely to be avoided. They explained that scientific research indicated that suspected carcinogenic matter present in styrofoam containers could percolate into hot or cold food or even beverages carried in them. Continuous sensitisation of people was carried out – from the street to institutions. Exhibitions, public performances, and other effective mass communication channels were used to ensure that awareness reached a sizeable number of people. To approach the issue from another angle, food providers that people hired to cater for big feasts were persuaded to avoid serving in, and providing styrofoam dishes. Their standard response was that people ask for such. To counter this, caterers were persuaded to give a discount to those customers who opted to have their guests served in reusable items. As the use of styrofoam was also common in rural areas, special campaigns were designed for outreach to rural populations. Sessions were programmed around village fairs and large gatherings such as those associated with the harvest festival. Asin every journey towards change, there were many hurdles. The adamant nature of some was a big hindrance. They were just not willing to give up the use of styrofoam and brushed off the members of Zero Waste Himalaya saying that they were creating unnecessary hype about its dangers. Sometimes, even if people wanted to make the change, circumstances prevent them from doing so, as in the case of the neighbouring town of Darjeeling. The ‘No Styrofoam’ campaign failed in this area as, unlike Sikkim, Darjeeling is water-scarce. “The people of Darjeeling were compelled to implement use and thrown away items,” says Niraj. The determination of Zero Waste Himalaya members to see this material being done away with made them trudged for miles and miles; many pairs of shoes worn out, and many doors knocked on. Their zealousness and commitment to the cause came to fruition when in May 2016, the Government of Sikkim imposed a ban on the sale and use of styrofoam in the State. Niraj and the team are however cautious about celebrating this victory. They understand that a law often needs strong enforcement. Their next step, therefore, is to hold another survey. This time to document how many people have actually made the change. “If many have, then we can celebrate,” Niraj says. “There will be many instances where people will discourage us, but for me, it will not matter. I will stand by my pledge to get rid of harmful waste in the beautiful Himalayas. I am a Waste Warrior after all,” Niraj says. Sustainability is embedded in the heart of ITC’s business model. ITC’s abiding vision to create larger societal value has powered a multi-pronged strategy that fosters innovative interventions that support sustainable livelihood creation while enriching the environment at the same time. The Company measures its performance along the triple bottom line that builds and enriches the country’s economic, environmental and social capital. ITC has been carbon, water and solid waste recycling positive for the last 12, 15 and 10 years, respectively— the sole company in the world to have achieved these milestones. Moreover, it has created sustainable livelihoods for over six million people. ITC’s commitment to creating larger societal value is manifest in its innovative interventions, which are aimed at providing livelihood security and ensuring environmental replenishment. These large-scale efforts encompass agricultural and rural communities residing near ITC’s agri-sourcing operations or near its production units. 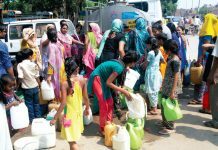 Agriculture, which forms a major share of India’s economy, remains to a large extent, dependent upon natural resources; in particular, water. With almost half of India reeling under severe water stress for decades, agriculture continues to be in the grip of a crisis. Recognising the critical role that water resources play in ensuring sustainable development and inclusive growth, especially for the farming community, ITC set itself a target in the late 1990s tobe water positive by 2003. The Company achieved this target and has maintained its water positive status for many years since then. A two-pronged strategy was adopted to achieve this. At one level, ITC focused on reducing the net water consumption at all its manufacturing units. Technology upgrades improved water efficiency. The intake of freshwater was reduced. Practices were implemented to increase water reuse and recycling. ITC spearheaded rainwater harvesting systems and worked toward zero effluent discharge. The second prong had ITC implement large-scale watershed development programmes in its catchment areas. In 2001, ITC launched its Integrated Watershed Development Programme, which revives, builds and maintains water-harvesting structures so that land degradation is reversed, critical irrigation is extended, and agricultural productivity is raised. It facilitates community-based participation in planning and executing projects. Currently, the total water harvesting potential created by ITC is over three times the net water consumption by its operations. ITC works with NGOs to mobilise local people to form Water User Groups, trained to carry out the entire spectrum of activities: from planning to execution and maintenance of water harvesting structures. Ways to formulate regulations and fix water user charges are additional skills imparted to the members. The funds are used to maintain existing structures and build new ones. 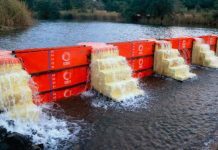 The model is highly replicable and scalable as traditional methods and modern techniques combine to build location-specific, low-cost water harvesting structures, relying on simple technologies and locally available materials. The participation and contribution of local communities, both in terms of finance and labour, along with the creation of a maintenance fund from user charges, generate high levels of ownership. This is crucial to long-term sustainability of the projects. The benefits of the programme are both multiple and multi-dimensional. Employment is generated by the requirement of civil work for the structures, and by increased availability of water for farming activities. This helps benefit the marginal/landless, a key factor in reducing seasonal outmigration. The areas see improvements in both quality and quantity of natural resources, enhanced green cover and restored soil health. The availability of water resources also contributes to farmer incomes through increased productivity. Take, for example, ITC’s Social Investment Programme, Mission Sunehra Kal (Mission Golden Tomorrow) in the Sehore district of Madhya Pradesh. Launched in 2003-04, the objective was to enhance land productivity and thus farm incomes as well as augment non-farm incomes through the creation of alternative livelihood opportunities. A beginning was made with Integrated Watershed Development and Livestock Development programmes. The project was later scaled up to include Sustainable Agriculture Practices and Climate Smart Agriculture, as well as Community Development initiatives such as the Empowerment of Ultra Poor Women, Vocational Training, Health and Sanitation. At present, four soil and moisture conservation projects cover 55,280 acres in 66 villages in Sehore. Altogether, 70 stop dams, 161 irrigation tanks, 11 check dams, 495 farm ponds, 141 group wells, and 99 well recharge units have been constructed as part of the projects. Todate, the programme has benefitted 2,500 families by treating 19,148 acres of land. These activities have generated over 170,000 person days of employment. According to a third-party impact assessment study, ITC’s interventions in Sehore have had a significant impact on major economic indicators in the area, namely, improvement in the yield of crops, improvement in net income from agriculture and non-agriculture sources. The report further indicates that other than village development, the bio-physical condition of the villages has shown improvement – groundwater levels have improved, and so has soil quality. Soil erosion has been reduced; there is an improved supply of water and irrigation facilities that in turn have contributed to increased income and more productivity. 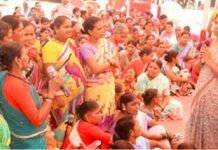 Social harmony has also increased, and along with it, the awareness of the benefits of the programme. Simultaneously, health and hygiene, education and the overall living conditions of the people have also shown considerable improvement. ITC’s Integrated Watershed Development Programme currently covers over 822,000 acres in 12 States with over 11,000 rainwater harvesting structures. It has benefitted over 26,100 households and created over 5,600,000 person days of employment. 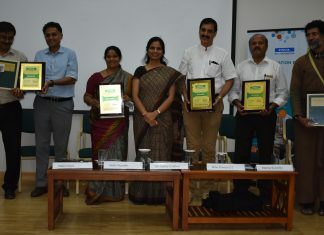 The programme has received several awards and accolades, the latest being the Best Practices Award for Sustainable Development Goal (SDG)15- Life on Land, for ITC’s Integrated Natural Resource Management Programme, which covers its initiatives in Watershed Development and Afforestation by the United Nations Global Compact Network India (UN-GCNI). The Company proves that aims can be achieved. And in the case of ITC, it lives by its credo of “Putting India First”. Kamal Meattle, the Chairperson of the Paharpur Business Centre (PBC) is a resident of Delhi. Some 20 years ago, he began to suffer from respiratory distress. His lung capacity had dropped significantly causing chest congestion and breathing problems. All the doctors he consulted made the same diagnosis—his breathlessness was due to the high levels of pollutants in the air, in particular, benzene. Doctors were unanimous in zeroing in on one possible remedy: Leave Delhi. However, Kamal Meattle is not one to abandon ship so quickly. He had read about the Clean Air Study led by the National Aeronautics and Space Administration (NASA) and wondered if that could provide a solution. NASA scientists researched for years to find evidence that confirms that plants could serve the need for biological life support systems aboard orbiting space stations. How could biological processes help solve environmental problems, both on earth and in space habitats, they wondered? The results were a revelation. Data that emerged from the study concluded that common plants had the capacity to purify and revitalise closed spaces, as the tiny openings in their leaves act as filters that absorb contaminants present in the air. Could these findings help Kamal Meattle improve the air quality around him? 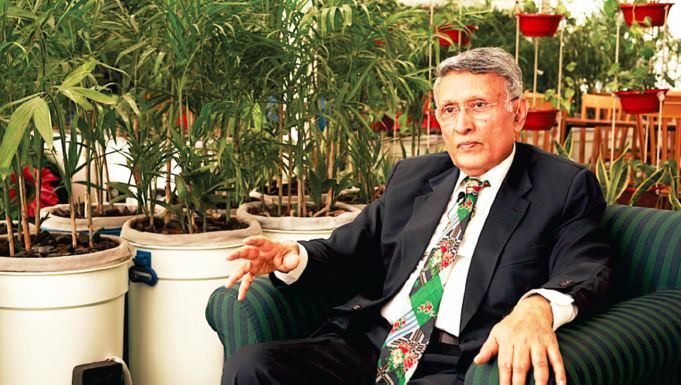 Armed with this information, he worked with experts at the Indian Institute of Technology and The Energy Research Institute in Delhi to identify locally available plants that can naturally remove toxic agents such as benzene, formaldehyde and trichloroethylene from indoor air and also help neutralise the effects of the sick building syndrome so that there is improved Indoor Air Quality(IAQ). Three plants were shortlisted: Money Plant (Epipremnum aureum), Mother in-law’s Tongue (Sansevieria laurentii)and Areca Palm (Dypsis lupescens). All three help remove chemical toxins from indoor air and also oxygenate it. Each converts carbon dioxide (CO2) into oxygen (O2). Money Plant and Areca Palm perform the conversion during the day, while Mother-in-law’s Tongue (also known as the Bedroom Plant) does it at night. The miracle workers, as Meattle calls them, have helped create mountain-like fresh air for the occupants of PBC offices in Delhi. This, despite the fact that PBC is located in the heart of a bustling commercial hub that sees a footfall of 100,000 people every day! High counts of Particulate Matter levels (2.5 and 10), sulphur oxides, nitrogen oxides, volatile organic compounds, ozone and more are expected. However, the PBC team has still managed to create a healthy micro-climate inside and outside the building that brings about good indoor air quality. By placing over 7000 air-purifying plants all over the building, the decades-old PBC sees a significant reduction in the quantum of air pollutants such as carbon dioxide, in levels of fungus and bacteria, and also of particulate matter. To ensure the continuous availability of plants, PBC has a rooftop greenhouse with vertical green walls of plants. All this helps PBC grow fresh air. The brilliant outcome of plant use has earned for PBC the distinction of receiving the National Australian Built Environment Rating System certification for good Indoor Environment Quality- the only building outside Australia to receive this. PBC’s Management adheres to the thought that better offices make for better thinking. The Central Pollution Control Board, Ministry of Environment Forest and Climate Change, Government of India, and the Chittaranjan National Cancer Institute, Kolkata, tested the air quality at PBC over a two-year period. Their conclusions were that the good IAQ has brought about a reduction of 52 percent in incidences of eye irritation, 34 percent in respiratory problems, 24 percent in headaches, 12 percent in impaired lung functions, and 9 percent in asthmatic attacks. The improved health parameters have brought about a 20 percent increase in productivity of those who work in PBC. This matches studies by Harvard Centre for Health & Environment and others that conclude that lowered CO2 levels coupled with lower pollutants in buildings raise cognitive scores when compared to conventional buildings. Research is ongoing to identify other plants to add so that the air quality improves even more. While each plant comes with its own health benefits, each also needs special care to grow. In order to help other spaces also get mountain-quality air, PBC has incubated Breathe Easy, (www.breatheeasylabs.com). The Company offers a wide range of products and services as solutions to purify air. Credit: Earth Day Network, India.